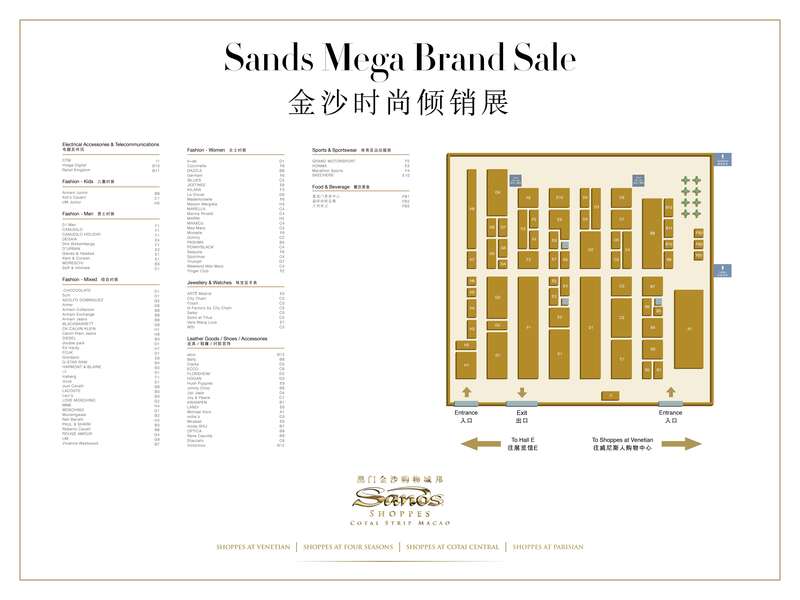 Over 150 international designer brands from Shoppes at Venetian, Shoppes at Four Seasons, Shoppes at Cotai Central and Shoppes at Parisian at UP TO 80% OFF for a limited time only. Get ready to shop like never before! Check Out the Floor Map Now!